JJ Rhymes has been one of the most productive Junior College players over the last 2 years for Hutchinson CC and is still available. The 6’5 lefty wing has a knack for scoring the ball. He puts constant pressure on the defense attacking the basket and has a great midrange pullup. He can also score in the post with his back to the basket. In his freshman season (2016-17), he averaged 16 ppg, 4.6 rpg, and 2.6 apg and helped Hutchinson win a National Championship. 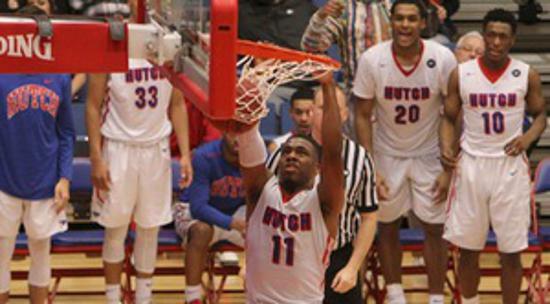 This season, he helped Hutchinson get to the Round of 16 of the National Tournament. In 36 games this season, he averaged 19.6 ppg, 3.9 rpg, and 3 apg. He has won 64 games over the last 2 years at Hutchinson.